San Jose police on Thursday said they are looking for an "armed and dangerous" man after a 35-year-old woman was "brutally murdered" at a Holiday Inn Express. Police named Julio Pliego, 43, as the key suspect in the homicide of Veronica Lozano - who was found by a maid Wednesday afternoon about 1:30 p.m. in the room of the hotel at 2600 Monterey Road. Both Pliego and Lozano are from San Jose. Their relationship, and what they were doing in the hotel, were not immediately made clear. Police said Pliegomay be driving a 1997 Nissan van with the California license plate of 6ZQD210. He may be heading to Mexico. Police also said that Lozano has a white 1996 Chevrolet Suburban bearing a California license plate of 3RWR194, which has not been located. 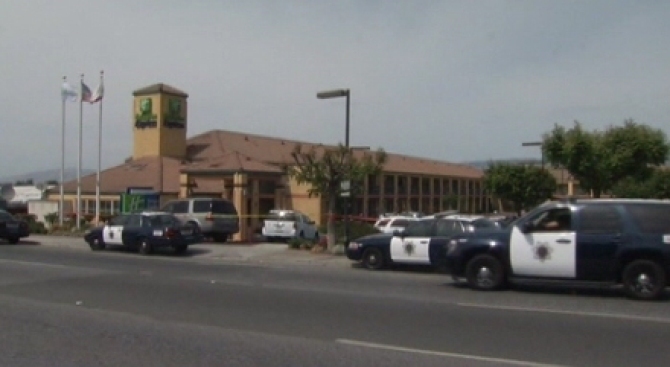 A man at the Holiday Inn Express on Monterey Road in San Jose found a woman's body, and a bloody scene, on Wednesday afternoon. George Kiriyama reports. Homicide detectives believe suspect Pliego may have fled to Mexico and is considered "armed and dangerous." 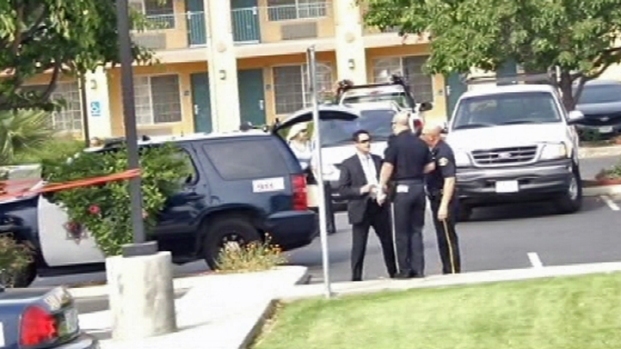 A San Jose crime investigator at the scene on Wednesday afternoon described the homicide at the Holiday Inn Express as "brutal." NBC Bay Area Photojournalist Mark Bosselmann says he saw blood on one of the walls when he looked through his camera. Lozano was the city's 15th homicide this year. Police said there were signs of a violent struggle inside the hotel room where the body was discovered. George Kiriyama reports. The management at the Holiday Inn Express and their corporate headquarters in Los Angeles had no comment. NBC Bay Area's Lori Preuitt contributed to this report.